I decided last night that I'd extend the half price CHASING FILTHY LUCRE sale through the end of the month. 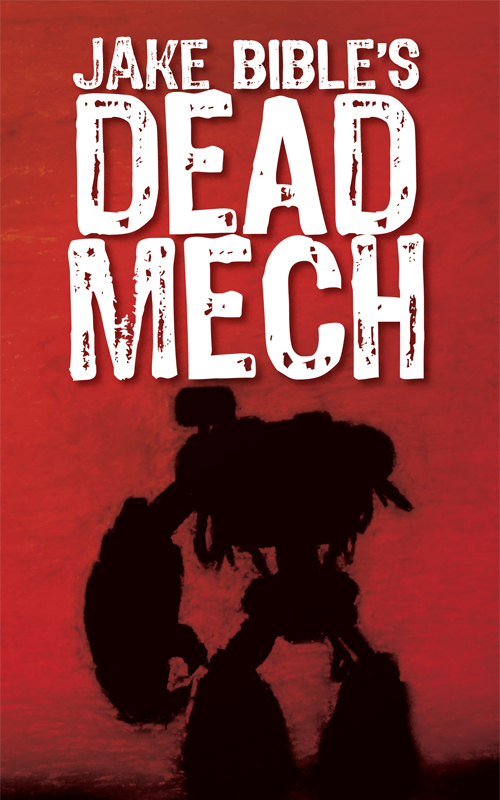 So, if you wanted to get a copy for half off, go to Smashwords and enter coupon code VW64G at checkout. And keep an eye on this space the rest of this month. There'll be more sales you'll want to take advantage of. It's my birthday. Here's my gift to you. Today is my birthday. I'm 39. Just one more year and I'm 40. I'm not afraid of it, but it does have me thinking that I need to set a few goals to accomplish over the next year. I have a few in mind already. I'll save all of that for another time. Today, I wanted to give you a gift. For today only — at least for now* — I'm offering CHASING FILTHY LUCRE for half off at Smashwords. Just enter coupon code JK44E when you checkout. Just $1.49 for a book that's been called "entirely thrilling" and writing that's been compared to Richard Stark and William Gibson. That's a steal folks. Your gift to me can be spreading the word about this. Since I'm turning 39 I'd love to sell 39 copies, but I'll be happy with a handful. So retweet this, pin this, do whatever it is you do to spread the word. I'd appreciate it. * I say for now because I'm toying with the idea of making this a weekend long sale since my birthday falls on a Thursday this year. But don't count on that happening. If you are thinking about getting a copy, don't wait. Do it today. The folks at lifehacker have just posted the results of the very best online survey ever, one that's finally useful. I love pens and notebooks. I have a ton of each, almost literally. I'm drawn to a hardbound notebook with an interesting cover and a pen that writes smooth. I prefer rollerball or gel ink, and I think that's because their ink is darker and I can use it to put a thick line on my doodles. 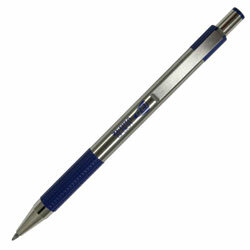 They also write smoother and when you are taking notes or jotting down ideas you can writer faster. At least it feels like i can. Like when you're a kid and wearing a pair of new shoes and you think they make you run faster. What a depressing day when you realize it's not the shoes that are slowing you down. It's your genes. I do have one ball point pen that I like, and it makes this list. It's a Zebra. That's a picture of it up there. I discovered them when I was working at an office supply store in college. They write easy and have a fine point that makes detailed doodling super easy. Anyway, pens. I like them, and I like this list. Read it. 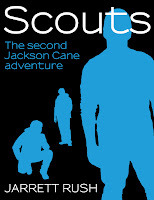 Took a few days, but Scouts is now available for Nook. Go and get your copy here. Lets sell dozens today and see if we can't get this thing to become a Nook bestseller. This may be the perfect use of the Internet. I promised you that the second Jackson Cane story, Scouts, would be available today, and it is. You can get it at Smashwords and Amazon for now. It's still working its way through the process at Barnes and Noble, but it should be available there by the end of the day. If you're one of the people who's grabbed a free copy of Reunion in the last few days, or you're one of the few people who've paid for a copy of Reunion in the months that it's been available, you're going to want to get a copy of Scouts. This story lets you get a much better look at Jackson Cane, and it sets up a bigger story that's going to be a lot of fun. I'm excited about it. You're going to like it. If you need to know more, here's the description that I'm using for now. This will probably change a bit. When Jackson Cane spots a trio of twenty-somethings in a restaurant, his instincts tell him something's wrong. When he sees them later, he finds out he couldn't have been more right, and that's bad news for Jackson Cane and the rest of the Freak Police. 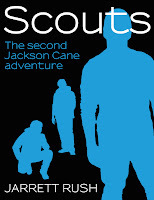 This 13,000-word story is the second in the series of Jackson Cane adventures. And, if you have a Nook. keep checking back here. I'll update this space when link is available. A quick note to let you all know that I have a story up at A Twist of Noir. 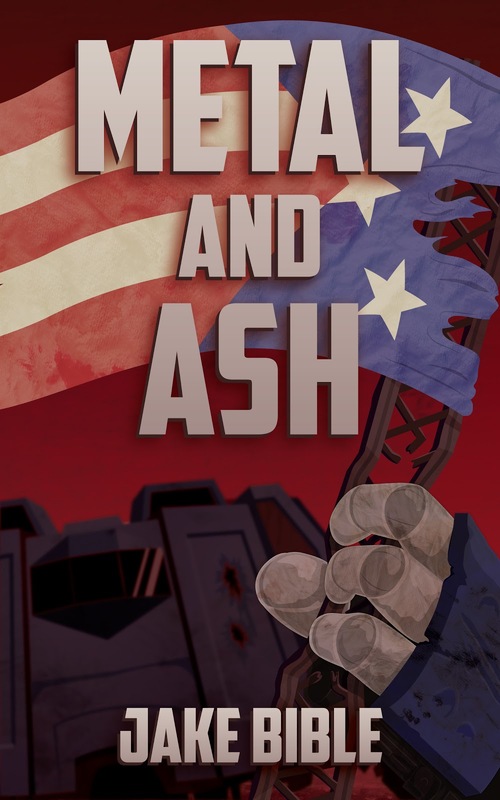 It's called Like Candy, and it features a couple of characters I've been writing a while just not publishing. They are named Dirk Daring and Paisley Trinket, and they're thieves. Since this was going to be the 693rd story posted at A Twist of Noir, the challenge was to write the story in 693 words. I found Like Candy on my hard drive, and with a little editing I made it fit the word count. It's much tighter now that it used to be, and I think it's better for the editing. Anyway, go check it out. Leave a comment over there. Let me know what you think. We are a week away from the release of Scouts, the second Jackson Cane story. I know many of you are counting down the days. 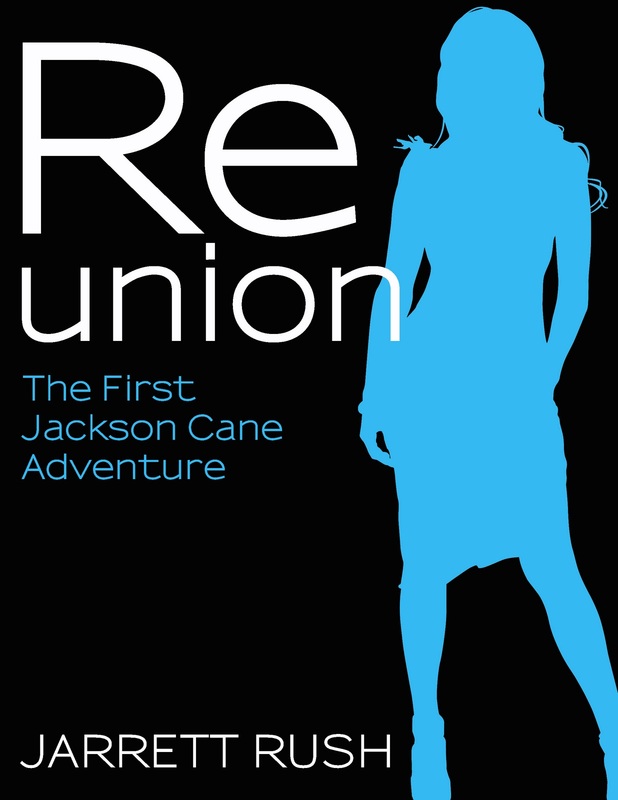 Well, for those of you who aren't, don't let it be because you haven't read Reunion, the first Jackson Cane story. Right now, and until the end of July, you can get Reunion for free over at Smashwords. In case you've missed it before, here's a bit about Reunion. Sounds good, right? I really think it is. I love writing these characters. You're going to love reading them. And now you can try Reunion for free to see if I'm right. Besides, I know where this story's going. You're going to want to get in on this one early. There are three more stories coming after Scouts. You don't want to hear about how awesome Jackson Cane is and then have to play catch up. No, you're going to want to be the one telling everyone about this great stories you've found. But it's not just Reunion that's being offered at a discount. You can also get Chasing Filthy Lucre for 99 cents. That's half off. You might want to snap that one up too. It was a week ago today that we finally got to meet our beautiful little girl. Gina started to feel lousy on Sunday. We stayed home from church because there were signs that labor might be imminent. We did all the Fathers Day activities with each of our families that we had planned, but I was always keeping an eye on Gina. We hadn't let anyone know that she was starting to see signs that we may be having this baby soon. But throughout the day we'd whisper to each other about things that were happening. We went to bed on Sunday and I told Gina that I wasn't going to go in to work on Monday. She said, "No, you're going." Then about 11 p.m. Gina woke me saying she thought she was having contractions. She was. We timed them and waited. Once they got to be about 5 minutes apart we headed to the hospital. And a mere 19 hours later, we met her. Ellie was here. Baby is great. Mom is great. Dad is tired and not ready to go back to work yet. You're going to have to forgive me if the posts here are a little more baby focused for the next little bit. We've been waiting for baby for almost a week now. Actually, if we can make it a few more hours, our little girl will officially be one week late. She's still moving like crazy. You can see and feel it, so we know she's in good spirits. She just seems a little shy. I keep making the joke to people that for a girl who has a father who's an editor she doesn't seem to have very high regard for deadlines. That joke seems funnier to me than it is to everyone else. Doesn't keep me from making it though. The doctor always told us that he wouldn't let Gina go more than a week past her due date, and he's not. Well, not by much anyway. We are scheduled for an induction at 5 a.m. on Tuesday if things don't happen naturally. So that's where we are. Still on baby watch. The second story in the Jackson Cane adventure is coming in July. It's in the final stages of editing now, and, if I do say so myself, it's good. The story of Jackson Cane and his Freak Police partners really gets rolling here. It's got monsters. It's got cops who hunt the monsters. It's got guns and fights. Scouts is part of a five story arc that will culminate in all kinds of craziness. You'll like it. Trust me. 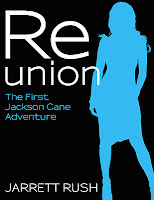 But to really understand Scouts you should read the first in the series, Reunion. "Jackson Cane is a cop. Well, sort of. Cane and his coworkers call themselves the Freak Police. 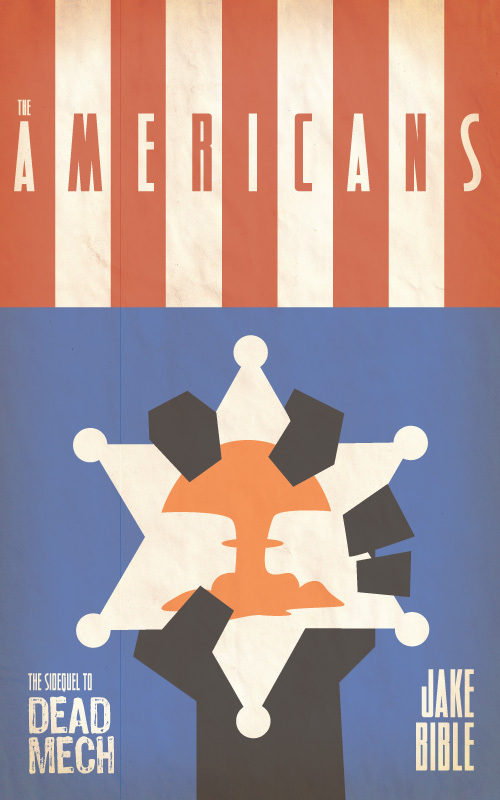 They chase certain undesirables back to where they belong. Cane's the best of the bunch, but his latest case is going to bring him face to face with someone that he's not sure he wants to see again." Get Reunion at Barnes and Noble. We're on baby watch. Any advice? Today we are officially within a week of our baby's due date. If she arrives on time she'll be here in six days. We've been on baby watch for a while now. She could've arrived at any time for the last two weeks. We've been spending almost all of our free time getting the house ready. Her nursery is finally done, and it looks fantastic. Being first time parents, we've been getting lots of advice. The most common being to get lots of sleep while we can. Or sleep when she sleeps. Lots of advice that's sleep related. A few weeks ago we were at lunch and one of the other customers at the restaurant started asking questions. They were pretty harmless at first. "When are you due?" "Do you know what you're having?" That kind of thing. He kind of went on and on, and all we wanted to do was eat our sandwiches and go. Then he started to get personal, asking if Gina was going to have an epidural. I know he was just being friendly, but back off, weirdo. So, since we've been getting baby advice from everyone we see, I wanted to give all of you with kids the chance to chime in. What's something you wish someone had told you before you became a parent? Part 4 in the ongoing tales of Mai. Enjoy it. Let others know about it. Spread the love. Yun crawled back into his cot. His feet hung over the edge and pushed a bump into the curtain. He looked at the ceiling and the venting that ran over his head. He listened to the air rush through the sheet metal tubing. He listened to the engines of the cargo hauler rumble. Only one was running, best as Yun could tell. That’s what his uncle would have told him. It’s what his uncle had taught him. Save. It didn’t matter what it was. Save. Always. It was a lesson a much younger Yun had learned over dinner. Mai splurged. A big sale to a man looking for the big guns left a little extra money in his pocket. He called to his nephew as he climbed the hill when the sale was complete. “Yes, uncle,” Yun shouted down to his uncle after Yun had scampered from the tent he’d been playing in. He started to run down the hill. He was a 5-year-old tangle of under-coordinated arms and legs at the time. A soiled white t-shirt covered his top. A pair of tan shorts covered his bottom. Nothing covered his feet. Mai smiled as the boy stumbled toward him and he stopped walking. He knelt down and stuck his arms out in front of him to catch his nephew. A wad of bills was still in his right hand. Yun fell into his uncle’s arms and Mai scooped him up and hugged him to his chest. “Tonight,” Mai said through a smile, “we eat chicken.” Yun copied his uncle’s happy face and cheered. He banged his hands together and Mai put Yun back on the ground. Yun ran ahead of his uncle and reached blindly into the tent that they shared. He pulled out a pair of worn shoes. He sat on the damp ground, slipped them on his feet, and was back standing by the time Mai made it to the tent. “Ready,” the eager little boy said. “What about this?” Mai asked and touched the dirt stains that were across the front of his nephew’s shirt. Yun pulled the shirt off, its neck hanging up on his ears. “Ready,” he said, his shirt in his hand and hanging at his side. “No,” Mai said. “Not yet. You do have to wear a shirt.” Mai was changing his own clothes. Yun scampered under the canvas side of the tent and dug in a crate where he kept the few changes of clothes he had. He came back out a moment later in a wrinkled blue tank top. Mai smiled. “Still not great, but it’ll do,” he said. “Yes, uncle,” Yun said as he ran off down the hill. Mai reached into the tent and grabbed a pair of sandals he kept by his bed roll. His good sandals. He put them on his feet, shoved his large roll of cash into the pocket on his best robe, and ran off after his enthusiastic nephew. After getting Yun and himself settled into the small boat he kept roped to the rocks near shore, Mai yanked hard on the cord of the small motor at the back of the boat. It sputtered to life and the little boat pulled slowly away from the shore. Yun worked his way to the bow and got up on his knees. Yun dropped to a seated position. Once the boat was out of the cove of the island, Mai pointed it toward the lights in the distance. The City of Lights. He gave the little motor more gas and listened to it whine its disapproval. Mai didn’t like being out in the open water with the small boat and this small engine. The boat slowly picked up speed and the wind that rushed across Mai and Yun was cold. Yun dropped to his stomach and did his best to get below the sides of the boat and out of the cold. Mai smiled at his nephew, and Yun waved to him. “A few more minutes,” Mai shouted over the engine and the wind. Minutes later Mai brought the engine to almost a full stop and Yun got back to a seated position. The darkening sky was lit by fireworks and the embers were crashing all around them. The water sizzled. Yun stared up, all of his focus on the explosions of color above him. “You’re missing it,” Mai said to the boy. “No, I’m not.” Yun turned back to his uncle. “Oh, yes you are.” Mai pointed across the bow of their little boat. Yun looked up to see a massive structure right in front of him, dipping and bobbing on the waves of the harbor. It was built out of dark wood with four massive masts. From each of the masts popped three sails made of a deep red fabric. And on each of the main sails on each of the masts was sewn a black, coiled snake ready to strike. Yun jumped to his feet and clapped and cheered the ship’s passing. He recognized the symbol of the rebels. “On your bottom,” Mai shouted. “It’s possible,” Mai said, even though he knew the chances were remote. His sister would never make it on a boat. There was a better chance she was holed up in the hills somewhere coordinating an offensive strike. Huddled in a tent, a blanket wrapped around her, and studying some lines on a map. Yun watched and waved at the ship. A few of the men on the deck waved back. Mai fed the motor on the back of the boat a little gas and his small craft made its way into the harbor. He was dwarfed by all the other boats. Even if they weren’t as big as the massive rebel boat, they still made him small. Their sails extended and puffed from the breeze. He steered his way to the docks on the shore and threw his line to one of the men waiting there. The man caught it and tied Mai’s boat securely to the dock. The man lifted Yun out of the boat and offered Mai a hand. Mai gave the man a fresh dollar for his trouble and the man smiled. He nodded his thanks. Mai took Yun’s hand and they walked to the market just up the hill from the dock. It was an aisle with booths on both sides. Women selling fruits, vegetables, and fresh meats. Halfway down the aisle was an open space where pots of food were cooking over open fires. Smoke disappeared into the night sky through a hole that was cut in the roof. Large lights hung over every other booth and bathed the whole place in a bright glow. The ladies working the booths all smiled and waved at Yun. He waved back. The woman selling spices held out a stick of candy for Yun to take. He looked up at Mai before accepting her offer. His uncle nodded, and Yun snatched the candy from her hand. The boy smiled and nodded, still holding on to the end of the candy sticking out of his mouth. Am I the only one who finds this headline disturbing? The arctic is farting ancient methane into the atmosphere. Click the link and read it. It's short. Shouldn't take long. I know. Methane, like from cow farts and all that. Ha ha. Funny. But seriously. 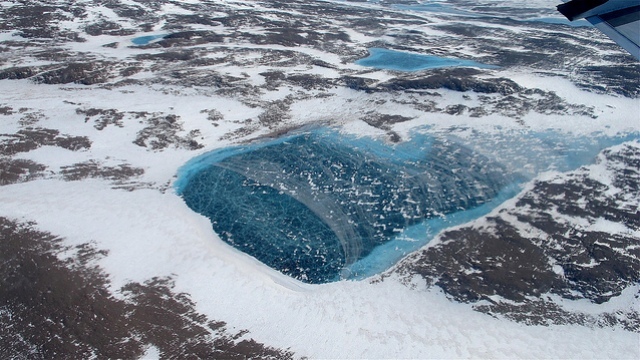 Million-year-old methane is escaping back into the atmosphere. This is methane that's been steeping for a million years. Like a teabag that sits in a cup of hot water for an hour, I'd say there's a better than zero chance that what's escaping is super-powered methane. Even if there's nothing different about this methane, there's got to be a story here. Like along side this escaping methane was some sort of zombie super virus. That's what really killed the dinosaurs and now it's coming for us. BOM BOM BOOOMMM. Someone let a thriller writer know. We need them to get on that. I saw this collection of items on Buzzfeed last week, 48 Things That Will Make You Feel Old. I'll be honest. There's nothing on that list that makes me feel old. Most of it was culturally significant long after I stopped caring about stuff like that. Most of it is from the 1990s. I graduated from high school in the early years of that decade. I'm a child of the 1980s. That reminds me. I read or heard an interview with Britney Spears years ago. She said that she grew up in the 1980s. No, you didn't. You were born in 1981. Your formative years were in the 1990s. Just because you and your parents choice of career stole most of those years from you doesn't make it less true. There are quite a few of us who were lucky to grow up in the 1980s. And I'm serious about that. The 1980s were a fantastic time to be a kid. Anyway, give me a minute to put away my mini soapbox. My point here, is that I'm 38 and none of the things on that list made me feel old. Not much does, honestly. Most of the time I'm still waiting to feel like a grownup, much less old. But there's one thing that will do it. It's when I flip around the radio and hear a song from my childhood on the local oldies station. It happened on Sunday. I was driving home from a writers conference and "Easy Lover" by Phil Collins and Phillip Bailey was on. That song came out when I was 11. And that song's old in comparison to other songs from my childhood that I've heard on the oldies station. I distinctly remember being played at junior high dances that have been played on the oldies station. For some reason that kills me. I start thinking, "No way can I be old enough to have songs form my childhood on this station." Then I remember that my 20th high school reunion is coming this summer, and, yeah, I'm old. Even if I almost never feel it. Your turn. What makes you feel old? Mai -- episode 3. A serial story. The next episode in the ongoing story of Mai. Hope you like it. The large-hulled ship was thirty minutes away from the beach when the man who’d been on the left got up from behind the controls and introduced himself. He stuck out a hand, palm slightly up, for Yun to shake. Maryweather pushed himself past Yun and walked into the cargo hold. He stood near the cargo door that the two men and Yun had used to enter the ship. Yun inspected the curtain from a distance. It was wrinkled and tattered. A tear that started at the bottom and extended to nearly the middle had been patched with a sloppy stitch. Maryweather kept talking. He was pointing to a sink that was just past his blue curtain. “We eat there,” he said. “Or we prep stuff there. Quick-make dehydrated meals are in the cabinet above the sink. Don’t use too much water. There’s only so much we can carry around with us, and we need it to do more than eat.” He elbowed Yun in the ribs and gave the boy a goofy grin. Yun jumped. Yun nodded that he understood. Yun nodded and walked toward the crate he’d carried to the ship earlier. He’d placed the bag he’d packed on top of the crate before they left the island. He grabbed his bag and headed to the orange curtain. The fabric felt scratchy and unfinished in his hand when he pulled it to the side. There room was only as long as the cot that came from the wall. It wasn’t much wider either. Across from the bed was a pair of shelves, one high and one low. Other than the cracker-thin mattress on the cot, everything in the room was made of metal. Cold and grey. Yun tossed his bag onto the bed and sat down. He stretched out his legs the best he could, never getting his knees to pop like he’d hoped. He sat still for a moment and then exhaled a long breath. He pulled his bag onto his lap and undid the zipper across the top. He pulled out handfuls of clothes and put them in sloppy piles on the top shelf. The bottom shelf he saved for the few personal items he was able to hurriedly grab. His headphones and music player. A book his uncle said his mother sent to him. A bag of beads that his uncle was teaching him to make into jewelry. That was all he had, and he spaced it evenly along the length of the shelf. He lay back on the bed and felt the mattress flatten to the point that it was almost nonexistent. His feet hung off the edge of the bed at least a foot. He wiggled his feet and watched them puff the soiled, orange curtain. Yun stayed in the bed, trying to clear his mind. Trying to calm these nerves. Trying to stop his mind from replaying the day. Nothing, though, would work. He couldn’t get it out of his head that the uncle who raised him sold him for 200,000. Yes, he could buy more weapons to sell, but Yun was family. You don’t disrespect family, not matter how bad it gets. Yun reached under the bed, where he’d stored the bag after it was empty. He pulled the scrap of paper on which his uncle had written the coordinates out of the inner pocket. He rubbed his thumb lightly across the numbers and thought about the island and how quickly everything had changed that morning. Yun folded the paper gently in half and put it in the pocket on the front of his shirt. He took a moment to fasten the button over the pocket then got off the bed and opened his orange curtain. He stepped into the cargo hold and headed toward the lights glowing in the cockpit. He’d taken his boots off and slipped them under his bed and his socked feet made little noise as he crossed the metal floor. The voices in the cockpit were growing louder. It sounded like Maryweather and Jacobs were arguing. Yun stopped just at a point where he couldn’t be seen and listened. “You shouldn’t be so nice to the kid.” It had to be Jacobs. Yun didn’t recognize the voice. Yun backed up slowly, sliding his socks across the floor, then spun and headed for his orange curtain. How do you choose which books you buy? We've been doing some renovations around the house to get things ready for the baby we'll be welcoming in just about a month. Wow. That's soon. That's where I've been the last few days. I was trying to post three times a week. April I was able to do that. Then comes May and the house projects and my schedule got way off. Sorry about that. But doing these renovations has us moving some things around in the house. That includes bookshelves and books. It gave me a chance to look through a bit of my personal library. What I figured out is that, as a reader, I'm a bit unpredictable. I don't have a certain genre I read more of. There was plenty of crime, plenty of sci fi, plenty of literary fiction. So, obviously, I buy whatever sounds good to me. You'll see the same thing if you looked at the stuff on my Kindle. What about you? When it comes to buying books, do you stick with a certain genre, or do you just buy whatever looks good to you? What is a Christian author? If you noticed in the first post that I did in the 5Ws and 1H series, I mentioned that something that really shaped my writing was my faith. Like I said then, I'm a Christian. It's something that shapes who I am as a person, and because of that it's something that shapes my writing. So, what I'm wondering this week is whether or not that makes me a Christian writer. Or does it make me a writer who's Christian? There's a definite distinction. I don't write Christian allegories. I don't write stories about people finding God or finding their way back to Him. I can't say that I won't ever write those things, but I don't plan on it now. I do write stories, though, that I hope have a nugget of hope in them. I think that is something that comes from my faith. It's something I get from it at least -- a sense of hope no matter the situation. 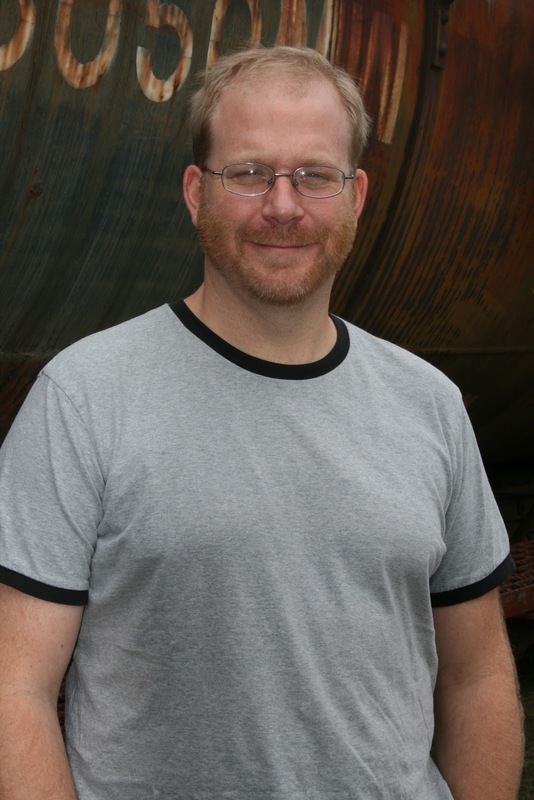 So am I a Christian writer, or am I a writer who's Christian? And, a second question since this is my blog and I can do that, would someone being classified as a Christian writer make you more or less likely to read something they wrote? Or would it not affect your decision at all? Does the term Christian writer come with connotations? Tell me. I really would like to know.